Healthcare has become more mobile, global and personal as it has already enlarged its scope beyond patient domain. Leading healthcare organizations are considering the proposition of treating chronically ill patients without even accommodating them in the healthcare centers as their focus is shifting from treatment to prevention. For this purpose, wireless technologies are being built around the idea that interactions and personalized data are prompted by the patients and managed by both healthcare providers (hospitals, Medical Home Teams, Doctors, etc.) and patients. This implies more participatory and collaborative relationship between healthcare providers and patients. There is nothing wrong in saying that we have much improved vision for “patient centricity” which includes more active, more empowering e-patient support. Movements to implement the new relationship model are likely to be incremental because it represents a fundamental cultural shift. Forward thinkers or “early adopters” may embrace this model. Therefore, keeping in view today’s needs, MILE Academic Committee is going to organize 3rd Leadership Program on High Performance healthcare Organizations. The program will enable you to interact with top academics and healthcare experts who have turned the tables globally with their knowledge and experience. As there is no right strategy or guidebook, our top faculty including healthcare consultants and doctors will address problems and propose solutions to better understand and incorporate best practices in designing high performance healthcare organizations. Be able to formulate both short and long term strategies in the evolving healthcare scenario. REGISTER NOW to sharpen your leadership skills and make a difference in your organization going forward. 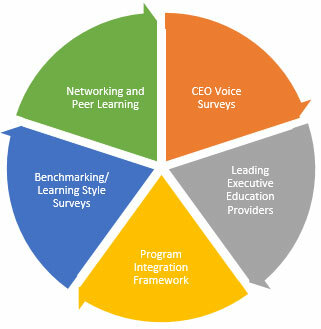 MILE follows a unique and comprehensive methodology for designing its programs and other leadership courses that it offers. Our programs answer broad industry needs and in many cases they attempt to solve existing industry pains and prevalent deficiencies that are practiced in organizational setting rendering the organizations to be unsuccessful. At MILE we offer more than just academic curriculum taught by the leading subject experts. We follow a comprehensive cycle of program design and a standardized methodology to ensure the quality and rigor in our pedagogy. Our design team starts by reviewing latest healthcare research and medical surveys published by leading healthcare consultants and institutions, this helps us to highlight new challenges and general requirement needs of the regional and local healthcare leaders. Later, we explore leading medical schools and the curriculum they are offering, this leads us to contact the faculty members at top global universities who are actively engaged in healthcare education and who match our areas of need. As we finalize our faculty we conduct a program integration meeting which is attended by all the faculty on board and MILE’s academic management committee. This meeting helps us to connect all the academic stakeholders involved and to carve out a robust program agenda which is presented for approval before the Global Academic Council at MILE. As we draw near to the program dates we conduct several short surveys, benchmarking the needs of our registered participants and making sure our faculty members adopt to their needs and learning styles. Finally, we supplement our programs with several evening activities and optional professional training sessions offered by internationally recognized executive coaches. These activities serve to break the ice between our participants where they network and develop close network of associates. We also conduct evening medical check-ups, morning exercises and religious and spiritual activities to elevate the performance of the executives. In short at MILE we offer a complete package for rejuvenation of your leadership skills!